maribel I am re-activating this expired deal. 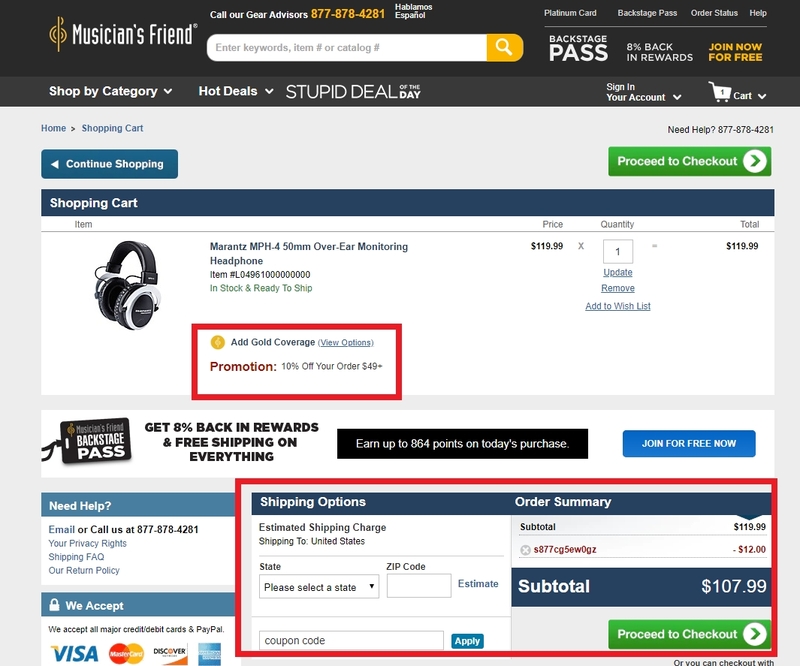 I will update it and validate that it works.Save on the gear you want through Memorial Day Weekend with this unique coupon code. Get 10% off qualifying orders of $49 or more and 15% off total qualifying purchases of $149 or more. This is a single-use code. 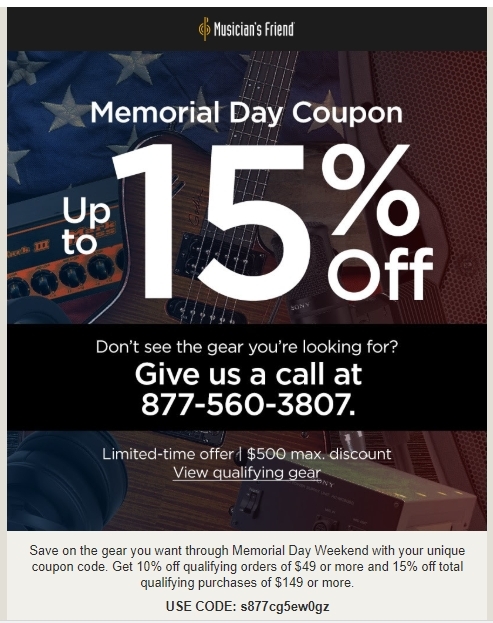 Gabriela Mujica Save on the gear you want through Memorial Day Weekend with this unique coupon code. Get 10% off qualifying orders of $49 or more and 15% off total qualifying purchases of $149 or more. This is a single-use code.